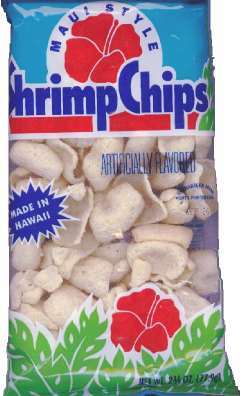 Frito-Lay Maui Style Shrimp Chips. MFrito-Lay Maui Style Shrimp Chips. Calories: ?. Calories from Fat: ? Fat ?, Carbohydrate ?, Protein ?. Graphic and Text is copyright © 2000 by Frito-Lay, Inc.